I recently purchased a QA100 Mixed Signal Oscilloscope. The one drawback so far is that it only accepts 3.3v signals on the LA pins. On their forums, I found a pointer to this 74LVC245 chip for doing level shifting. 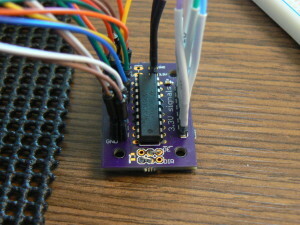 I designed a board using this chip. 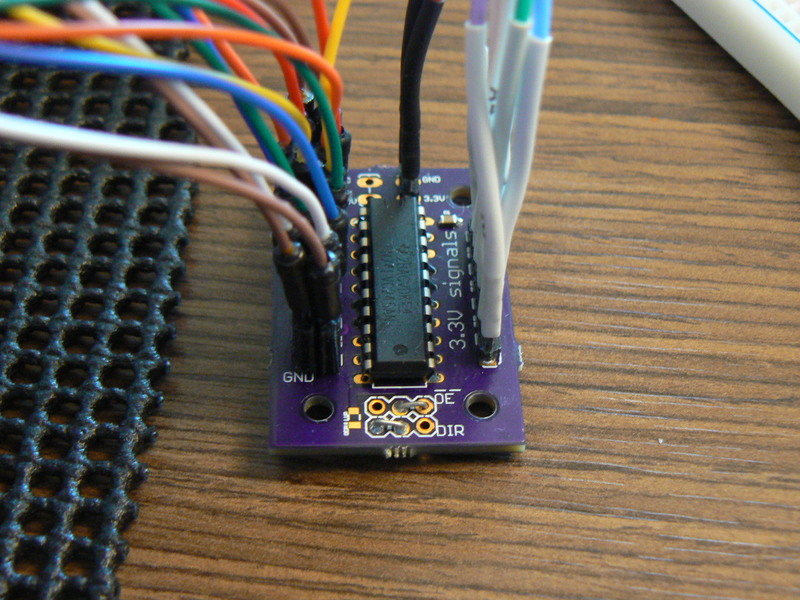 I included a row of ground pins to attach unused signals to (you are not supposed to leave inputs floating on this chip). I can cascade several of these together to get more than 8 signals shifted.